The BioSpine Institute (https://biospine.com) announced today that Roderick Claybrooks, M.D. has joined the team to treat patients with back and neck pain using their minimally invasive surgical approach. 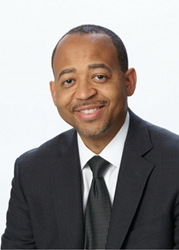 Dr. Claybrooks previously practiced at Southfield-based Michigan Spine and Brain Surgeons. He is a board-certified and fellowship-trained orthopedic spine surgeon. Dr. Claybrooks will be treating patients at BioSpine’s Tampa clinic, and will be performing all procedures at BioSpine’s dedicated outpatient surgery center in Tampa’s Westshore District. Dr. Claybrooks graduated from Wayne State University School of Medicine. He completed his orthopedic surgery internship and residency at the Detroit Medical Center and completed a neurosurgery and orthopedic spine surgery fellowship at the Cleveland Clinic Foundation of Ohio. He has been recognized by the Consumer’s Research Council of Americas Guide to Top Orthopedist and he was named a “Top Doc” by Hour Magazine. Dr. Claybrooks has performed more than 7,000 minimally invasive procedures and has publish research in multiple peer-reviewed journals. The BioSpine Institute is a minimally invasive spine surgery center in the Tampa Bay area treating people with back and neck pain. The institute was founded by Frank Bono, D.O. and James Ronzo, D.O. with a mission to advance minimally invasive spine technology and treat patients with a surgical approach that results in less pain, less scarring and a faster recovery. Dr. Bono and Dr. Ronzo have treated more than 35,000 patients and performed more than 15,000 spine procedures.